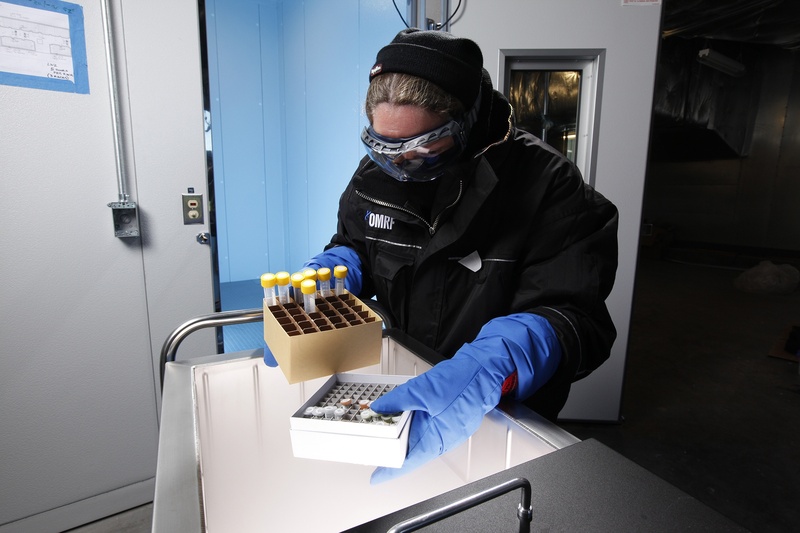 OMRF’s biorepository provides investigators with access to unique patient collections and new recruitment opportunities to aid research. Directed by Joel Guthridge, Ph.D., it is the largest facility of its kind housed at a nonprofit institution and can accommodate 5 million samples. It serves as a centralized facility for patient/control identification, patient/control recruitment, sample processing, and access to large collections of patient/control samples with associated clinical, demographic, therapeutic and disease activity measures. 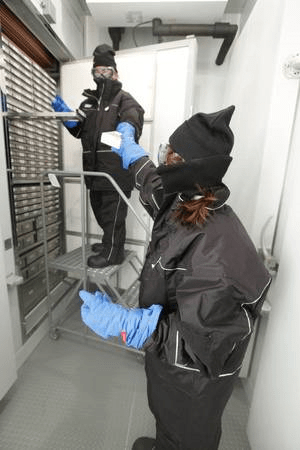 Equipped with a 3-layer backup system, it includes an emergency system that uses liquid nitrogen in the case of electrical outage. The OMRF Biorepository is proud to be a CAP Certified site, having received its accreditation in 2016.